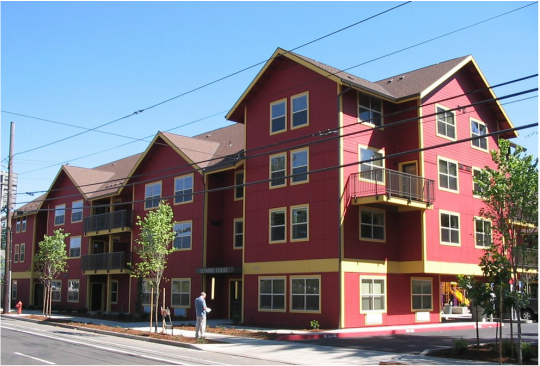 Leander Court is a three/four story building with thirty-seven apartments including two, three and four-bedroom units. The U-shaped building encloses a courtyard and provides wind protection and security for the four outdoor children’s play areas. 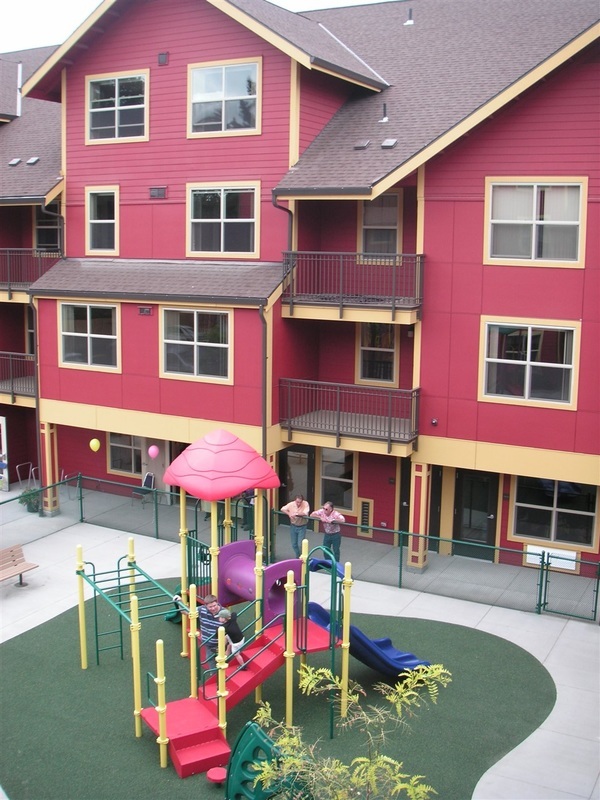 The centralized courtyard also provides a sense of community for residents. Unit living rooms have direct views into the courtyard allowing parents observation of children at play. Indoor community spaces include activity and ofﬁce areas. 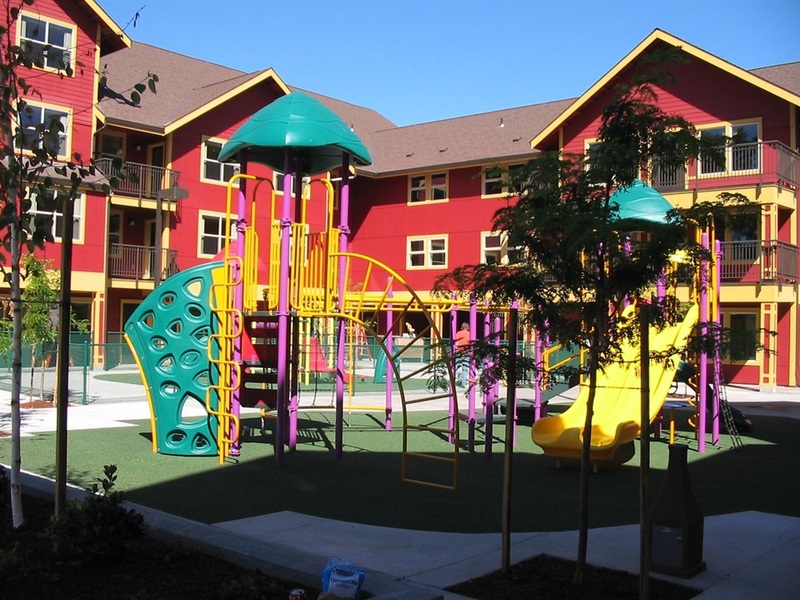 Two children’s daycare facilities are also provided. William Wilson Architects received the 2008 Outstanding Business Partner Award for this project from Rose Community Development.